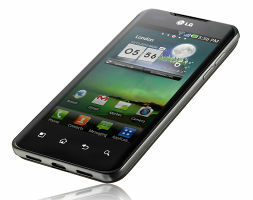 The recently unveiled LG Optimus 2X is about to hit the stores across Europe quite soon and along with the dual-core Tegra2 processor it will also have some exclusive Ennio Morricone content on board. The famous Italian composer and is known for the movie soundtracks he wrote and now he'll share part of them (including 15 LG-exclusive ringtones) with the future owners of the upcoming LG Optimus 2X. The best news todays is the handset will actually start selling in Europe in January 2011. Among the 25 pieces composed by Morricone there will also be 10 of the composer's creations such as tracks from the movies Cinema Paradiso, The Mission, Love Affair. What's more Optimus 2X users will get access to free applications with Ennio Morricone images and video clips from the LG Application Store. And here is a nice Christmas gift from LG to all LG and Ennio Morricone friends around the world: follow that link to download a short mix-up of maestro Morricone's master pieces. By the way, the Optimus 2X isn't the only LG smartphone getting the Ennio Morricone treatment: the South Korea exclusive LG U3000 Optimus Mach will enjoy that too. Now, everything is compared to Iphone, what stupidity! You must think that it's all the same as the Iphone, no? LG rocks, they are back big time. somebody awoke the giant.